Panda Express Opens Customizable 'Innovation Kitchen' In West L.A.
No one is saying that Panda Express is the most faithful of Chinese cuisine (no one in L.A., at least). But we can&apos;t deny that it&apos;s one of our favorite fast-food chains. How can we resist the the orange chicken? Or the honey walnut shrimp? The Panda knows what we want. As such, it has been tinkering with a "fast casual" concept that centers on our love for customization (think: poke bowls, Blaze Pizza). Called "Innovation Kitchens," these souped-up locations are just like any other Panda, except the offerings are broader, and you get to do whatever you want (for the most part) with the items. Orange chicken in a burrito wrapped with a scallion pancake? Sure. Or what about hot-and-sour soup ramen? The first innovation kitchen opened in Pasadena in 2014. And now West L.A. has its own location on Westwood Boulevard, reports Eater LA. The location opened its doors just four days ago, and it shares many of the same characteristics as the Pasadena store. Aside from the usual orange chicken and and Beijing beef, there&apos;ll also be salads and a tea bar serving up the type of boba fare you&apos;d find in the San Gabriel Valley. How does it all work? It&apos;s just like a Chipotle where you go down a line, telling a server your preference for a base, a protein, veggies, and whatnot. You can get pretty creative with the configurations, though we suggest that you be mindful and courteous as you conjure your darkest fantasies at a Panda Express. The Panda has been on an innovation kick in general. It came out with the "chork" and introduced many West Coasters to the venerable General Tso&apos;s chicken. 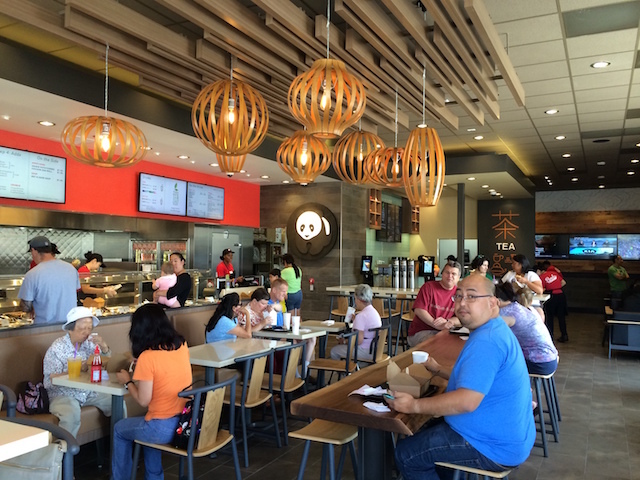 Panda Express Innovation Kitchen is now open at 2011 Westwood Blvd. in Westwood.